Are you fantasizing about strolling down the beach with your washboard abs glowing in the sun? It's not too late to get your six-pack on. Maybe you just need a little help. You've got your workout program set. You've got your nutrition down tight. What else can you add to the mix to get those abs out before the boardwalk closes up for fall? The perfect blend of supplementation! Let's look at the top supplements to help you get ripped abs this summer. A great supplement to start with is a good-quality fat burner. But when it comes to fat burners, it's definitely not a one-size-fits-all solution. Want to lose weight—and get a serious energy boost? Go for a stimulant-based fat burner with caffeine to get you through those grueling workouts when you'd rather just curl up on the couch with the AC on. Want to burn fat, but always feel hungry? Choose a fat burner with appetite suppressants to take the edge off those food cravings so you can stick with your diet plan. Super sensitive to stimulants? A stimulant-free fat burner with no caffeine or similar ingredients can be easier on your system. This is also a good choice if you plan on consuming your fat burner before you go to sleep. As you search for your perfect fat burner, though, don't forget that there are no miracle supplements. Fat burners can make it easier for you to get through your workout and stick to your diet. To lose weight—and feel great doing it—you need lots of good exercise and a solid nutrition plan, too! Pre-workouts and fat burners often contain similar ingredients, because both are usually designed to boost your energy. The key difference is you take a pre-workout to enhance your workout performance, and it contains more ingredients, such as vasodilators to boost blood flow and endurance. If you're in a caloric deficit—meaning you're burning more than you're taking in—a pre-workout is a great way to make the most of your precious workout time. 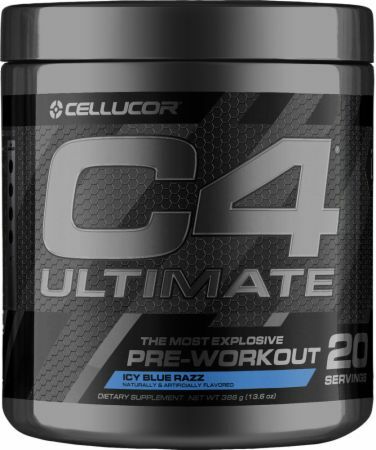 Just like fat burners, each pre-workout product is unique. Some contain novel mental enhancers such as nootropics, some contain more caffeine or other stimulants than others, and some contain no stimulants at all. Shop around and find one with the blend of ingredients—and the taste—you like. To get serious six-pack abs, you may have to cut back on some things in your diet. Protein definitely isn't one of them. In fact, you'll probably need more than usual! When cutting down, protein's appeal is its ability to kick-start the muscle-building process, boost your metabolism, and shorten your post-workout recovery time. Protein is also a blood-glucose stabilizing nutrient and can reduce your appetite. When you've cut back on calories to accelerate your fat loss, protein will also help preserve lean muscle mass. This allows you to sustain a higher resting metabolic rate, while promoting greater overall fat loss. More muscle also means your strength levels will stay higher, even when you're not eating as much. That's all great, but many people still struggle to meet their daily protein requirements. Either they're just too busy to prepare meals or they just don't feel like eating another piece of chicken, beef, or tofu. Protein powder solves that problem. It's ready whenever and wherever you are: Just mix it with water, shake, and go. Your body can quickly digest protein powder, making it the perfect way to get protein post-workout, while still being able to save room in your stomach to eat later. Here are two secrets for a successful shred: stay hydrated, and prevent as much catabolism (muscle breakdown) as possible. Amino acids help you do both. 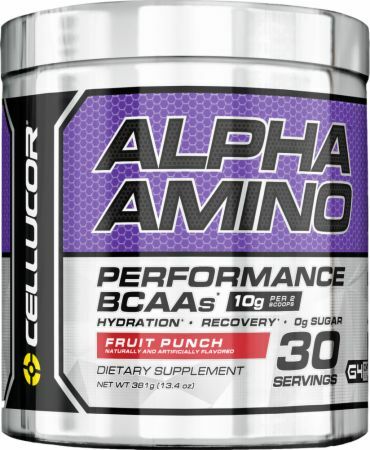 The three branched-chain amino acids (BCAAs) are leucine, isoleucine, and valine. In powder or liquid form, they bypass the liver and go straight into your muscle cells where they provide energy and lower catabolism. Adding flavorful BCAA powder to your water throughout the day can keep you well hydrated and improve workout endurance while limiting muscle soreness. BCAAs are useful when you're dieting, too. Cutting back on calories can increase your risk of catabolism because you have less fuel coming in while the work you're doing stays the same, or even goes up. Because they help fight catabolism, BCAAs are an especially important supplement to use when your body is searching for energy in all the wrong places—like muscle tissue. CLA is also thought to support insulin sensitivity, so more of the carbohydrates you consume are absorbed by muscle tissues and used for energy, rather than being stored as body fat. Pariza, M. W. (2004). Perspective on the safety and effectiveness of conjugated linoleic acid. The American Journal of Clinical Nutrition, 79(6), 1132S-1136S. Miner, J. L., Cederberg, C. A., Nielsen, M. K., Chen, X., & Baile, C. A. (2001). Conjugated linoleic acid (CLA), body fat, and apoptosis. Obesity Research, 9(2), 129-134.